This is so typical of Westland scenery and I've often see paintings just like this. 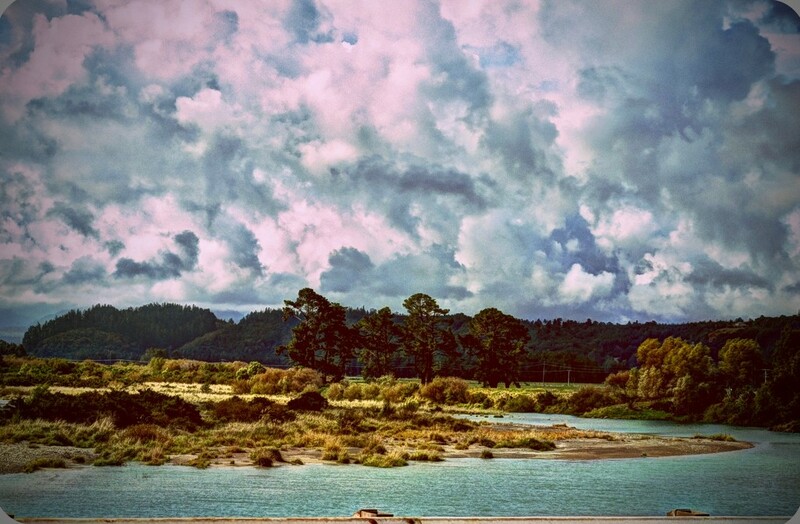 On the bridge over the Hokitika river. Wonderful landscape with great details in all the brush through the clouds. @taffy Thank you Taffy - I did try to get contrast within the clouds as that was also in the paintings! A stunning capture of this wonderful scene. Love the clouds and tones. This is beautiful, Maggiemae! fav. Amazing sky and great painterly edit ! It does look like a beautiful painting! This photo looks just like a painting MM.